How to Illuminate a Letter. During the Middle Ages books became more popular as reading became a more widely taught skill. Each book, however, had to be reproduced by hand which made them very expensive and only the very rich could afford them. These illuminated manuscripts became prized possessions in collections all over the world once the invention of the printing press made them a thing of the past. 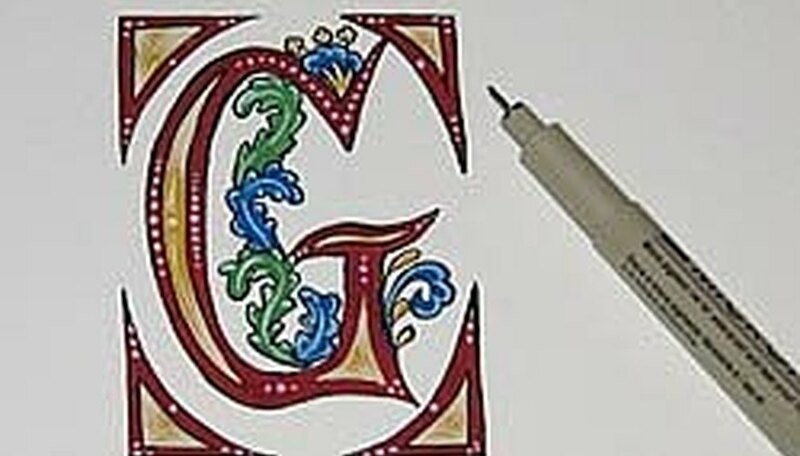 Illuminated letters still show up from time to time in decorative use-and the ability to draw and paint them yourself is a fun skill to have. 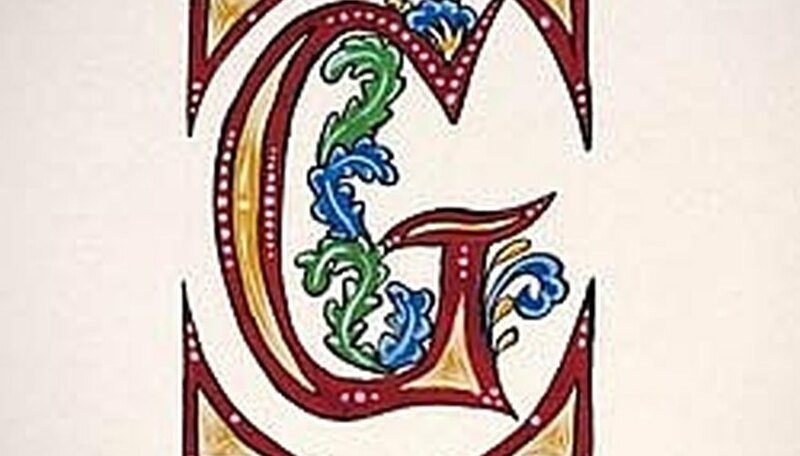 They look great on stationery, used as a monograms for personalizing gifts and, of course, go perfect with calligraphy. Here are tips for illuminating letters. 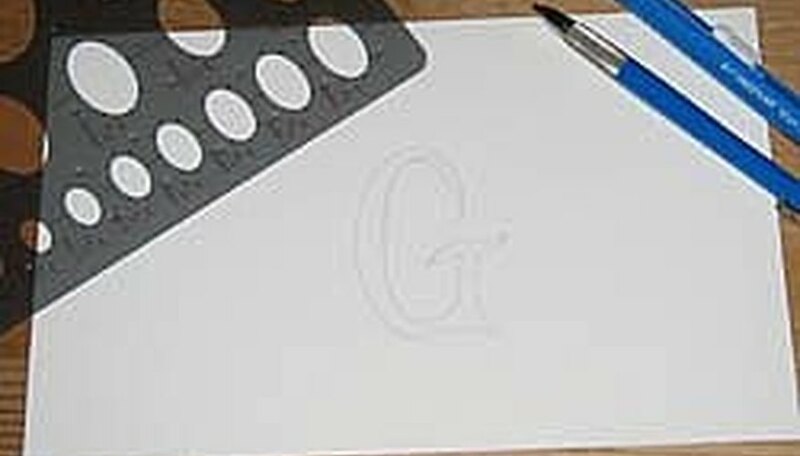 Sketch out the basic shape of your letter lightly in pencil. A good working size is 2 to 3 inches wide and/or tall to give you plenty of room to decorate without losing sight of the letter itself. 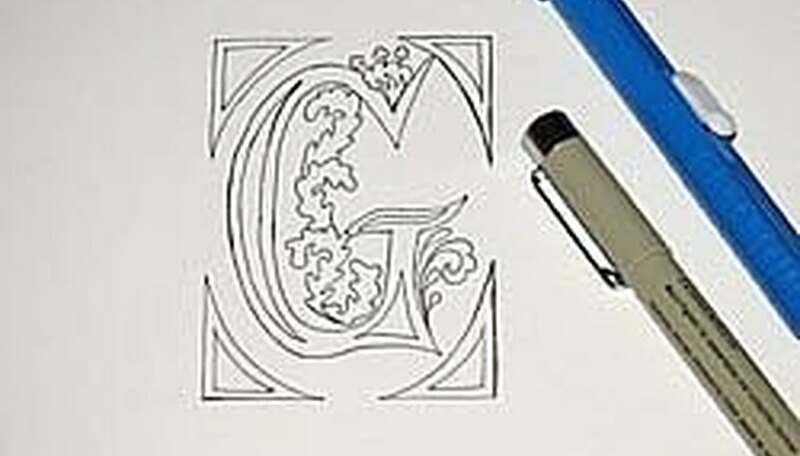 Widen the outlines at certain points to give it a ribbon or calligraphic look. 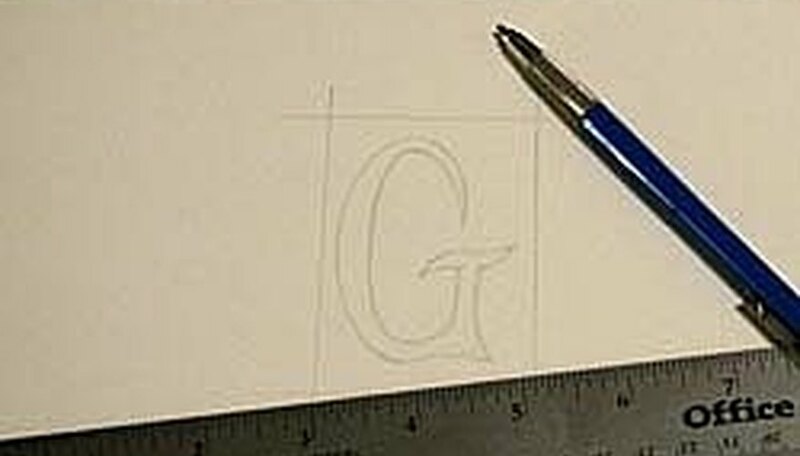 Measure out a boundary line around your letter in whatever shape you choose. This line can be one that is used as a visible border or just one to keep your decorations in check. Squares and rectangles are most common, but circles are particularly nice around blocky letters. Fill the space with decorations, still working in pencil. Acanthus leaves, ivy and swirls are all very good filler patterns to start with followed by fruit and small figures as your skills progress. A simple checkered or diamond pattern can make for a striking background for a letter as well. Outline your letter and decorations in pen. For best results this should be a waterproof, archival ink pen in black, though red, green or blue can work if it fits with your design. Erase any visible pencil marks once the ink has dried completely. 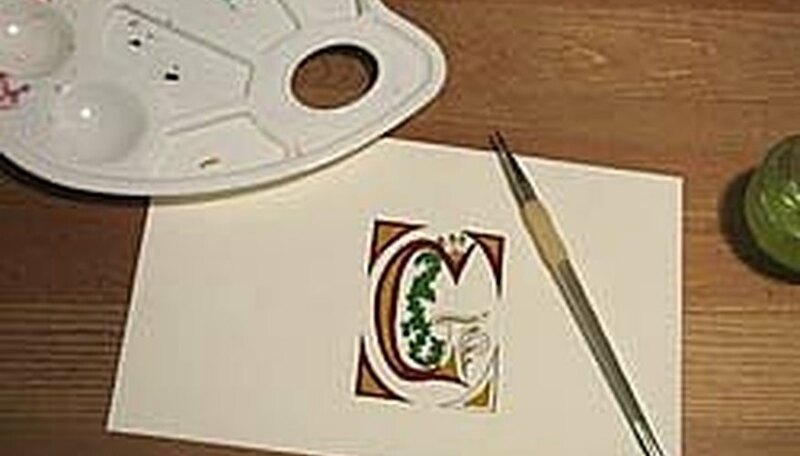 Paint in the base colors of your letter and decorative elements. Work with flat sections of color first and then build upon them in successive layers. Add highlights to your basic colors by either mixing a bit of white with the original paint and overpainting or painting pure white directly on top of the figures and elements. Touch up any of your outlines that might have been painted over in the process. This is also a good time to add additional pen-work outside the original structure. Round and oval templates can be used to form the rounded sections of some letters if you have trouble getting the shapes to turn out right freehand. Keep your paint as dry as possible while you work to minimize mess and maximize control. Gouache paints have more pigment than watercolor paints and will give you better coverage, though either can be used. If you make any mistakes with your highlighting just paint over it with your base color and try again once dry. Always use the same brush with your white paint and only for that white paint, otherwise you'll end up with color residue marring your work. Paint directly from the tube of paint and do not dilute it for the best results.